Scotland has arguably the most varied, colourful and long standing history of evangelical revivals in the world. Focusing on the period between 1527-1857 Tom Lennie provides an illuminating account of many an exciting time. Scotland's true revival legacy is wide and varied and Lennie draws on a variety of sources to bring together this comprehensive resource. 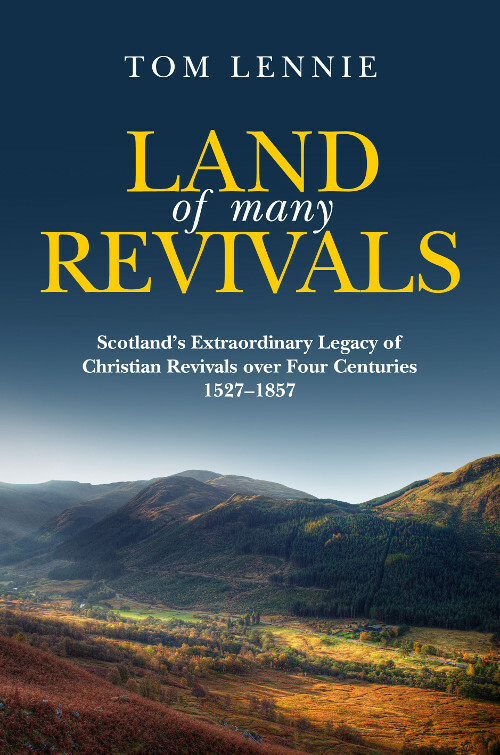 Land of Many Revivals examines how revival happened in different ways across Scotland and looks at the legacy left in these communities. Three hundred years, five hundred pages, a small country, many souls converted – this book is alive with the sound and news of revival. How I long to see revival again. Reading this will whet your appetite and renew your desire for God to do a new work in our day. ...looking even more thoroughly, more widely, and by using modern bibliographic aids, he has uncovered a good number of revivals not mentioned in earlier surveys... inspires us as we turn to God in our present needs. I recommend this book wholeheartedly. ...a historically accurate, theologically framed and inspirationally written page turner documenting the multiple and varied Holy Spirit sent and Gospel saturated revivals in the land of Scotland. This volume amply fulfils the promise of its title by surveying the vast range of religious revivals enjoyed in Scotland down to 1857. Tom Lennie has identified them with care and chronicled them with great sympathy. Richard Owen Roberts, President, International Awakening Ministries & Author of 'Revival' and 'Revival Literature: An Annotated Bibliography With Biographical and Historical Notices'. Tom Lennie has provided us with a thoroughly researched and referenced treatment of the history of evangelical revivals in Scotland from the early 16th century to the mid-19th century. I know of no work covering the same ground at the same depth. Whilst enthralling us with the reality of spiritual revival, he cautiously and sympathetically investigates the counterfeits. At the same time it is challenging, inspiring, and informative. This book is a classic to be added to any literature on the subject of revival.